A major European credit rating agency Scope Ratings GmbH (part of the Scope Group) has released its Sovereign Outlook 2019: Multiple stress factors set to weigh on growth and sovereign risk in which it noted that tightening financial conditions and challenges to multilateral governance are major risks for the world economy and sovereign credit in 2019. While there are supporting factors for growth, slowdown and uncertainty are expected. In Scope’s assessment, the global economic outlook for 2019 faces risks including tightening financial conditions, protectionism and inward-looking policy agendas, Brexit and uncertainties in Italy, as well as China’s economic slowdown. These stress factors in an environment characterized by a rise in nationalism, led by the United States’ ‘America First’ agenda, represent key risks to the global economy and sovereign credit outlook. 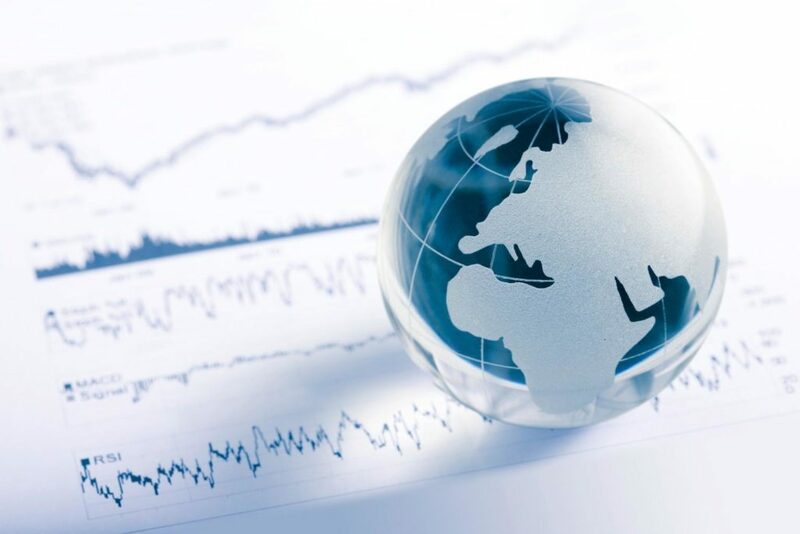 Scope believes the crystallization of risk factors will reduce global growth to around 3.0-3.5% in 2019 from about 3.7% in 2018, with euro area annual growth slowing to 1.5% in 2019 from 1.9%. In Scope’s assessment, 2017’s 2.5% growth was the peak year for euro area growth this cycle, and the expansion cycle is now in a mid-to-late phase with significant risks to its longevity looking ahead. Less dynamic economic activity coincides with high and rising global debt. With pro-cyclical fiscal policies pursued in multiple advanced economies (e.g. US, Italy), the stress on already elevated debt ratios will challenge the ability of many governments to cope with new shocks. Scope affirmed its below-consensus AA/Stable rating on the US this September and notes in the 2019 Outlook its concerns going forward. In Europe, Italy’s (A-/Negative) fiscal risks are weakening its debt sustainability and financial stability. With a volatile final four-month period ahead before the UK’s scheduled exit from the EU in March 2019, Scope expects the UK to avoid a no-deal exit in 2019. However, uncertainty surrounding the UK’s relationship with the EU will extend well beyond next March, with the accrued economic costs from uncertainty weighing on the UK’s AA/Negative ratings. A year of elections in Europe meanwhile will see Eurosceptic groups gain seats but not a majority in European elections next May, while reform efforts surrounding 2019 elections in the euro area periphery will help clarify rating outlooks for countries like Greece (B+/Positive), Portugal (BBB/Stable) and Spain (A-/Stable). In Eastern Europe, an intensification of sanctions is a risk for Russia (BBB-/Stable), while Poland (A+/Stable) and Hungary (BBB/Positive) will remain economically-resilient despite ongoing challenges from the EU regarding the rule of law. Turkey (BB-/Negative) and emerging market concerns have not disappeared as structural issues remain unresolved, leaving economies exposed to future risk-offs in financial markets, while an inward-looking US trade policy and China’s (A+/Negative) rising debt levels are key areas to monitor in 2019. Russia’s rating (BBB-/Stable Outlook) is supported by a recovering economy and strong macroeconomic policy framework put in place over the past few years, strengthening the country’s robustness to weather external shocks. Scope expects fiscal and monetary policy to remain tight in 2019. Fiscal policy is focused on rebuilding fiscal buffers. At the same time, monetary policy is anchored by the 4% inflation target. GDP growth is projected at 1.8% in 2019, following 1.7% in 2018. Scope sees the following key risks for Russia in 2019: i) intensification of sanctions on Russia, ii) impacts from the development of the trade war between China and the US and other protectionist measures in world trade, iii) pronounced oil price volatility, iv) weakening credit supply in a stressed scenario, reflecting the weak competitive position of state banks in the Russian banking industry, and v) escalation of geopolitical risks, including as it relates to ongoing strife with Ukraine. The risk of new sanctions, as indicated by recently proposed legislation in the United States including sanctions related to Russian sovereign debt issuances, may put capital flows under renewed pressure in 2019 and trigger non-resident outflows from government debt. However, positively, Scope notes that the latest sanctions were absorbed relatively quickly. After the imposition of sanctions in April 2018, the share of non-residents holding Russian government bonds fell from around 35% to 30% in the period from April to June, below the change recorded in the second half of 2014, when the share fell from 26% to 19%. Following a period of weakness in 2014-15, capital flows recovered and have become net sources of external borrowing since last year. If sanctions on Russia were to intensify, Scope does not expect Russia’s reduced international market access to have material domestic repercussions in the short term. The domestic economy will be supported by some ongoing reform progress as illustrated, for example, by i) the recent gradual increase in the country’s retirement age to 60 from 55 years for women and to 65 from 60 for men, ii) counter-sanctions supporting domestic production, iii) sizable fiscal reserves, and iv) Scope’s projections that Russia will run a significant fiscal surplus in 2019. A ‘reopening of international capital market access for the private sector’ could result in a positive rating action, as noted in Scope’s last rating action on Russia. Conversely, an escalation of geopolitical risks diminishing effective policy making would weigh on the ratings in 2019.